When you’re struggling with addiction, internal and external noise can be deafening. You’re bearing the weight of your friends’ and family’s opinions of your behavior, and you’re constantly bombarded by the chatter of your own inner critic. If you’re battling addiction, the last reality you want to engage in is the one that’s unfolding all around you; the present is too painful, so you look to drugs or alcohol to escape. 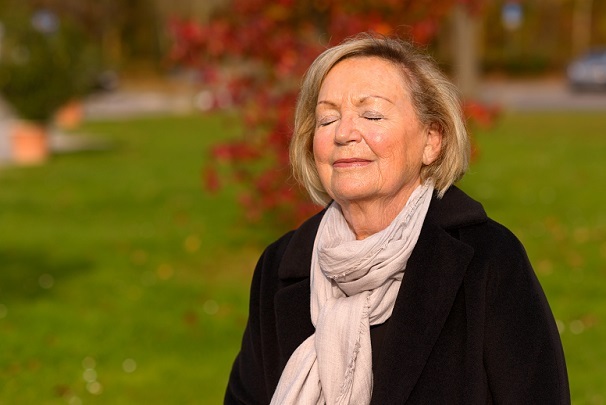 Mindfulness, or embracing the current moment with clear consciousness, is one coping mechanism you might not have thought to use—and a healthy habit for everyday living in recovery. What Does Mindfulness Mean in Recovery? When you start drug or alcohol rehab, your focus is likely lacking. Your mind may jump from one obstacle to the next, scrambling to find solace from the physical and mental exhaustion involved in the initial stages of treatment. Through counseling and therapy sessions, you can grow stronger in recovery, your mental health begins to make a comeback, and practicing mindfulness becomes easier. In essence, mindfulness means focusing all your attention on the here and now, and accepting the current moment without any judgment. Recovery revolves around a healthy sense of acceptance: you learn to accept what you can’t change, and what it means to accept yourself as you are: a work in progress. When you practice mindfulness, you take a timeout from your day and a step back from your normal patterns of thinking. Mindfulness allows you to slow the succession of negative thoughts (self-doubt, worry, anxiety, etc.) and habits (biting nails, fidgeting, etc.) and welcome positive changes (greater sense of peace, healthy heart rate, etc.) with each new breath. In recovery, practicing mindfulness allows you to reflect on how far you’ve come and find happiness within for the journey ahead. Find a quiet space where you can sit or lie down. This can be somewhere in your sober living home, outside in nature, or anywhere you feel safe and comfortable. Ideally, you want this spot to be distraction-free and relaxing. Focus on your breathing. Allow your eyes to drift closed and focus on your breath. Inhale slowly. Exhale fully. This will help quiet the racket in your brain and allow racing thoughts to pass by without sucking up mental energy. Several rounds of deep breathing will hone your attention to the present moment and allow your mind to find calmness. Acknowledge your thoughts—and let them pass. It’s normal for emotions and feelings to bubble up during meditation, but don’t let them linger. Picture your mind as a house with open doors and windows. Your thoughts will come, but allow them to pass on by and choose not to dwell on any one thought. If you get distracted, don’t be hard on yourself. Instead, gently return your focus to your breathing. Allow yourself to just be. In practicing mindfulness, your body is at rest. You’re breathing in fully and exhaling completely. You’re conserving mental energy and cultivating a sense of calm. You’re doing nothing. And everything for your well-being. Practicing mindfulness can be great for improving your mental health and overall well-being. If you’re in the midst of an addiction, practicing mindfulness is a step in the right direction, but you’ll likely need more than meditation to overcome a substance use disorder. Going it alone with addiction is often more dangerous than it seems, and enrolling in a program at a treatment center can make all the difference in your recovery. Whether you’re addicted to prescription drugs, illicit substances, or alcohol, there are reputable clinics and centers that can help you heal from addiction. The right setting for you will depend on several factors, including the type and intensity of your substance use disorder. To ensure a successful rehab experience, look for a facility that offers a full continuum of programs, ranging from medical detox to aftercare planning. No matter what, your recovery is always possible. Robert Fishman, Vice President of Admissions, oversees the admissions department for all ARS facilities. Mr. Fishman ensures that callers, visitors, patients and their families receive superior service in a compassionate atmosphere from his highly trained intake team. His techniques have increased the overall effectiveness of the team and resulted in a positive experience for callers and referral sources. Most importantly, he shares his own recovery experience to connect, engage and assist patients in taking the first step to achieving a life in sobriety. Since 2009, he has assisted and encouraged thousands of individuals who have sought a life without their addiction. Previous Previous post: What Does ‘Higher Power’ Mean When You Don’t Believe in God?